Europe's Most Interesting Gym | Inside the Ropes Boxing - Your #1 source for boxing news. At first I thought I was following Conor McGregor’s footsteps. To the casual American fan, fighting and the Irish might go hand in hand. After all, UFC’s biggest star, the aforementioned McGregor, hails from Dublin, and one of America’s pre-eminent college football programs have named themselves in honor of the “Fighting Irish”. In modern times, however, Ireland is considered European boxing backwater—far surpassed by England, the former Soviet Union bloc, and Germany. There is, however, one exception. 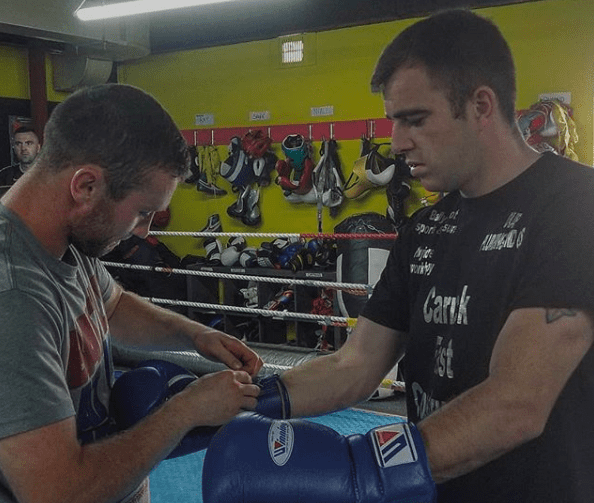 Craig O’Brien is Ireland’s most promising boxing prospect, and that day, he served as my guide to the burgeoning Irish boxing scene. Craig drives us on the highway out of town. A short while later we arrive at a nondescript grocery store in the suburbs. We enter the store and sit down for tea with a local fight reporter. Little did I know, the Celtic Warriors Gym, the Mecca of Irish boxing, was through a side door and upstairs. The gym is rather a familiar sight seen all over the world. 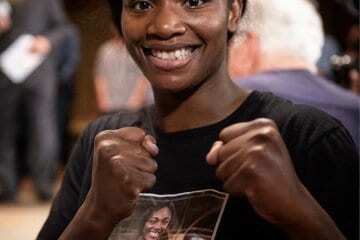 Trainer Paschal “Packie” Collins is working the mitts, as a wealthy benefactor walks around, and boxers work on various aspects of the sweet science. Celtic Warriors is a break from the normal Irish demographic, as boxers originating from around the world come to train with Collins. A healthy sense of irreverence for the status quo permeates throughout the gym painted in a bright yellow hue all around. Packie Collins, 48, is building a name for himself as one of Europe’s top trainers, and his pedigree could make one’s eyes pop. 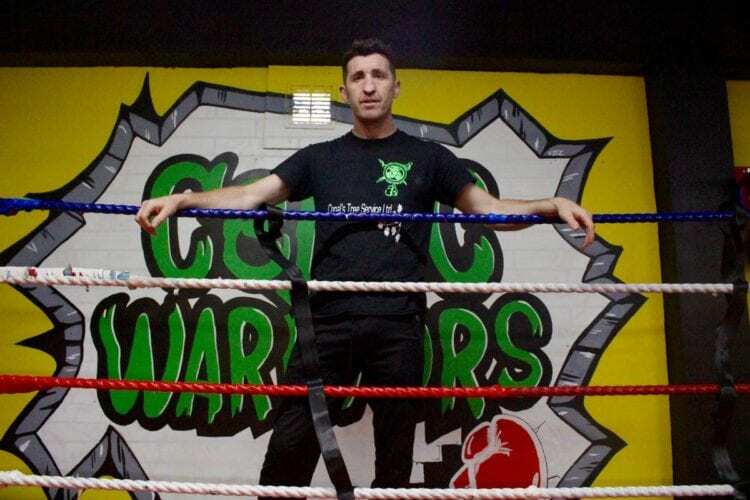 Collins’s brother is Steve “The Celtic Warrior” Collins, the former middleweight and super middleweight world champion, and inspiration to Conor McGregor himself. McGregor was once a frequent presence at Celtic Warrior, honing his now famous boxing skills. 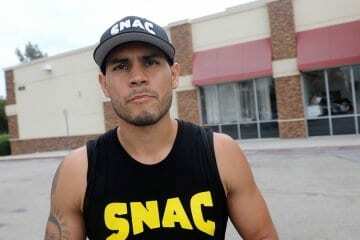 A former boxer himself, Packie is also a disciple of the boxing savant, Freddie Roach. Unlike the more rugged and physical fight styles native to the region, Packie’s fighters hit and move, utilizing agility and speed more commonly seen on televised cards in the United States. It’s telling that the Celtics Warriors of Dublin regularly fight in the United States and Great Britain. It is an unfortunate truth, however, that for all the good work that is put in at the Celtic Warriors Gym, Irish boxers tend to fight on the proverbial “B Side”. Perhaps the most notable name in residence with American fight fans at Celtic Warriors is Gary “Spike” O’Sullivan. Spike was not at the gym that day, as he was on holiday before starting his training camp for his ill fated fight against David Lemieux. Shortly after my visit, the stable heavyweight, Niall Kennedy was robbed of a win in New Hampshire, having to settle for a draw. The next month, Craig took a fight on short notice in London, only to lose the first fight of his career. Stephen “The Rock” Ormond, a grizzled veteran, wins most of his fights across the Irish Sea in England. Yet, one has to wonder, if all of the Rock’s fights were held on Irish soil, or on neutral ground, if he would be undefeated. The Celtic Warriors of Dublin are that talented. It only takes one major upset to put the Celtic Warriors of Dublin on the map. Frankly, it is only a matter of time. Craig rebounded nicely after his first loss with a knockout win. Niall traveled to Boston for his next fight and beat an undefeated American prospect. At 35 years old, Stephen Ormond most recently defeated Ghana’s best super lightweight, George Ashie. Spike O’Sullivan began his road to redemption with a win in December. Spike returns to fight in the United States in March. Packie himself is not afraid to address the elephant in the room. He knows that his fighters are, at times, up against the odds. That’s the way he wants it. Steve Collins tells me that if his brother wanted to, Packie could set up shop in the United States and position himself for a faster rise. Yet, the allure of coaching Ireland’s best keeps Packie in Dublin. Slowly, but surely, the Celtic Warriors fight on towards global fame. 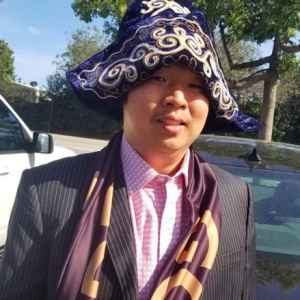 The boxing world might know me as Gennady Golovkin's Korean cousin, or that guy with the hat.